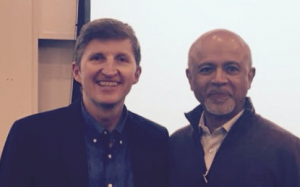 Recently I had the opportunity to travel to California and participate in Stanford University’s Medical and Graduate Business Schools Program – ‘The Innovative Healthcare Leader…from Design Thinking to Personal Leadership.’ An insightful week of collaboration and shared learnings with health care leaders from all over the world. Perhaps more than anything connecting with a brilliant colleague across the world who has helped to rekindle a passion and purpose for humane healthcare. Putting the person at the centre of healthcare and valuing our uniqueness as individuals over less personal investigation orientated approaches to care. Reminding us as medical professionals about the power of informed observation, empathy and the role of the doctor as healer and trusted confidante rather than simply the ‘test and treat’, ‘prescribe and promise’ approach.